After a fun-filled 19 days of ArtPrize 10, the winners of $500,000 in cash prizes were announced on Friday night. You viewed the art, you analyzed the art, and you voted for the art; and we're so grateful you did. At the Tenth Annual ArtPrize Awards Ceremony, powered by the DTE Energy Foundation, empathy, connection and identity won the night. 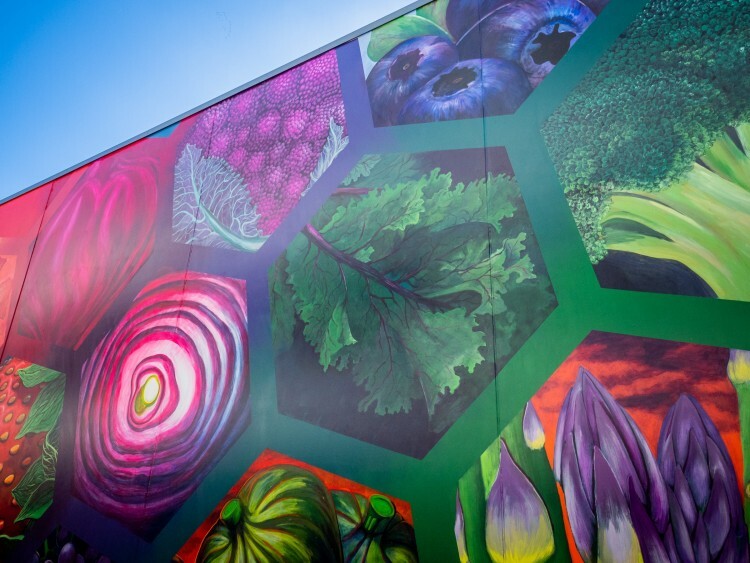 THE STRING PROJECT by Chelsea Nix and Mariano Cortez took home the $200,000 Public Vote Grand Prize presented by Meijer. And Le'Andra LeSeur won the $200,000 Juried Grand Prize for brown, carmine, and blue. Did you miss the announcement? Watch it in full here, and then view a full list of the ArtPrize 10 winners on our website and Facebook page. ArtPrize isn’t over yet! Venues will remain open until today, Sunday, at 6 p.m. — plenty of time to explore the winners and anything else you might have missed this year. 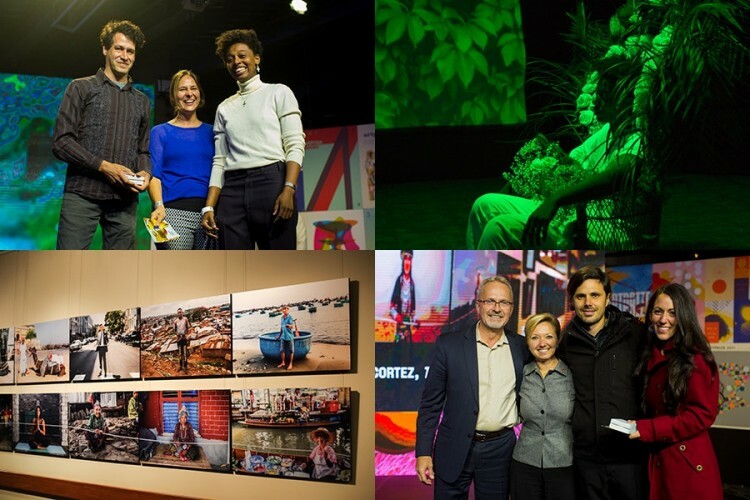 Photo: Top Left: Le'Andra LeSeur, ArtPrize 10 Juried Grand Prize winner, with Mitch Cope and Gina Reichert, the first ever ArtPrize Juried Grand Prize winners. Top Right: LeSeur performing in her winning entry, "brown, carmine, and blue." 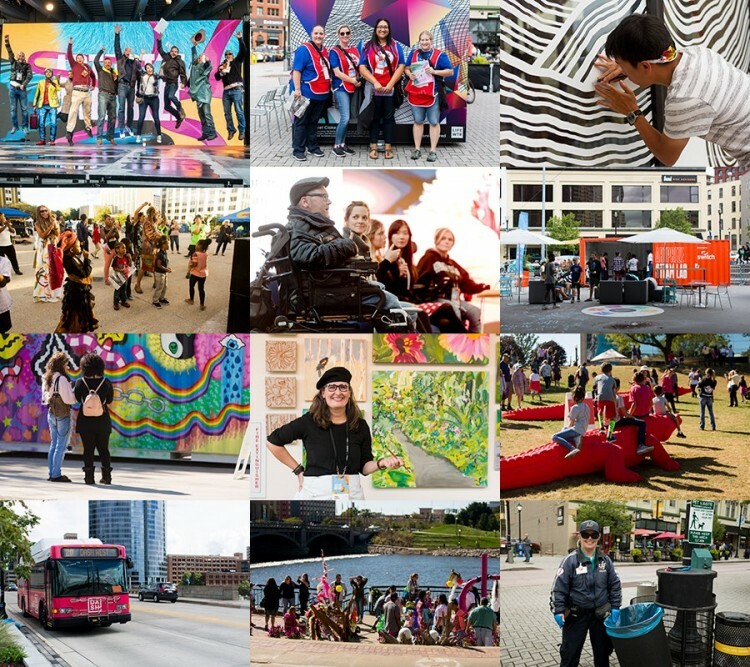 Bottom Left: ArtPrize 10 Public Vote Grand Prize winner, "THE STRING PROJECT." Bottom Right: Chelsea Nix and Mariano Cortez, the artists behind THE STRING PROJECT, with Grand Rapids Mayor Rosalynn Bliss and Mark Stiers of DTE Energy. Over the last 10 years of ArtPrize, Brian Kelly has shared his lens and perspective on the event through stunning, moving films and photography. He has been documenting ArtPrize since the beginning, and this year he outdid himself. We are so. very. LUCKY. that he created this epic short film for all of us to enjoy. After ten years of annual ArtPrize competitions, we’re shifting to a biennial schedule to make way for Project 1—the next evolution of ArtPrize, and the first in a series of citywide, community-oriented public art commissions. Project 1 shifts the organizing principle of our fall exhibition from competition to commission — allowing us to build deeper collaborations with artists and provide resources, time and community connections in a way we’ve never been able to do before. Next fall, a handful of artists will mount a citywide, immersive public art exhibition throughout Grand Rapids. The eight-week event will feature not-to-miss events, concerts, education programs, parties and more. The ArtPrize competition will return in 2020 for is 11th installment, alternating with the Project series moving forward. We’re beyond excited to dive into this new adventure, and we can’t wait to see you there. Today, ArtPrize 10 comes to a close and we want to thank you and everyone else that makes the event possible, and one of the most-attended art events in the world. This year was yet another incredible experience. Without the artists and venues who constantly evolve downtown Grand Rapids into ever-changing artistic experiment; the volunteers who sacrifice countless hours to help the 19-day event run smoothly; the City of Grand Rapids; Downtown Grand Rapids, Inc. and the knowledgeable and helpful Downtown Ambassadors; or the gracious sponsors who help keep ArtPrize free and open to the public, ArtPrize simply would not be possible. Did you visit ArtPrize 10? We’d love to hear about your experience. Your input is invaluable and helps our team design a meaningful community event. Please take a few short minutes to answer 20 multiple choice questions. Thank you!